Mike Morell. 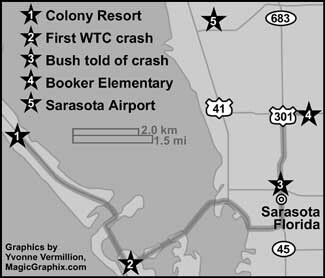 [Source: CIA]President Bush receives his daily intelligence briefing in his room at the Colony Beach and Tennis Resort on Longboat Key, Florida, where he has just spent the night (see September 10, 2001), but the briefing includes nothing about terrorism. The President’s Daily Brief (PDB) is a summary of the most current intelligence reports from around the world. It is delivered to Bush each day by Mike Morell, a CIA analyst. [Studies in Intelligence, 9/2006 ; Bowden, 2012, pp. 4-5; Politico Magazine, 9/9/2016] It usually includes seven or eight items. Fifteen minutes are usually allotted for the briefing, although it often lasts longer than this. Brief Arrived Late - The PDB today was, unusually, late to arrive. It was going to be sent from CIA headquarters, via the White House Situation Room, to the White House Communications Agency command post at the resort at 3:30 a.m. But at 4:30 a.m. it had not arrived and so Morell called CIA headquarters to see if there was a problem. He was told there wasn’t and the material had been sent at 3:30 a.m., as planned. 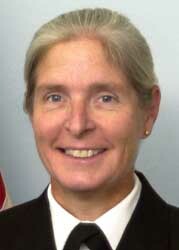 He then phoned the command post and was assured that the brief would be brought to him soon. Morell therefore received the PDB after 4:30 a.m., which left him less than three hours to master its contents and select supplementary materials to show the president.